BUILDER'S SPECIAL - Seller will credit Buyer $5,000 toward purchase of a refrigerator and washer/dryer with accepted offer. Credit to be applied upon successful closing and recording. Brand new custom built home in NW Lincoln City. 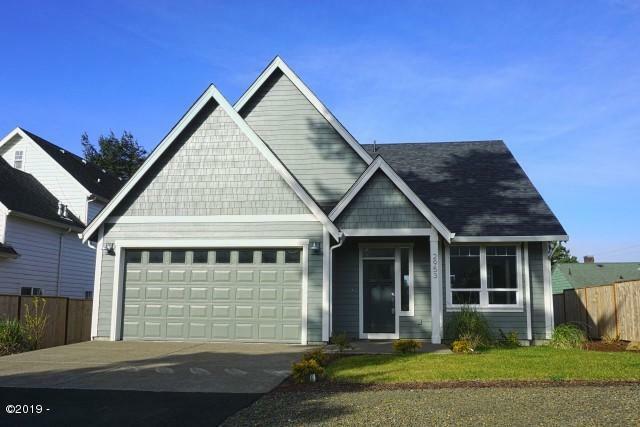 1956SF 3bd/2bath home features high ceilings and top of the line custom finishes throughout. High end laminate flooring, stainless steel kitchen appliances, plumbed for central vacuum system, walk-in showers w/bench, tank-less gas water heater, 50 year Malarkey roofing and fiberglass garage doors. Just a short walk to the beach, shopping, restaurants and the casino.